Washington, D.C., might as well be called Acronym City. It feels like there are a zillion different, discrete agencies, organizations, bureaus, boards, and commissions within the federal government, each with its own graceless three-, four-, or five-initial moniker, forming the tangled web of a bureaucracy that regulates… well, almost everything. So what are the key regulatory agencies, anyway? Who oversees what, and who do they report to, and how does it all work? 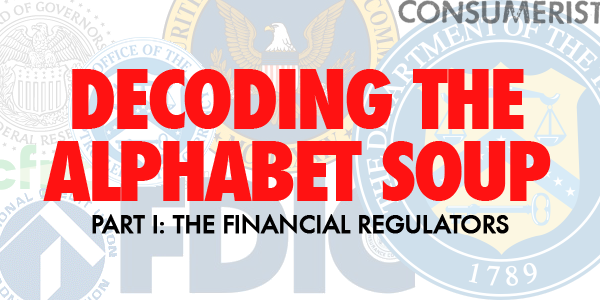 For our first installment in a series on how to understand your regulators, we thought we’d begin with the agencies and departments that regulate and oversee everyone’s favorite thing: money. The Federal Reserve was created in response to bank and financial panics, and expanded in response to crises like the Great Depression. The Federal Reserve Act lays out a mandate for the Fed that their policies should meet the goals of maximum employment, stable prices, and moderate long-term interest rates. The Fed also performs and publishes an enormous amount of economic research. Falls under / reports to: The Federal Reserve is an independent agency, meaning it’s separate from all of the executive (cabinet-level) departments. It is subject to oversight and potential alteration (changes in scope, mission, and so on) from Congress. 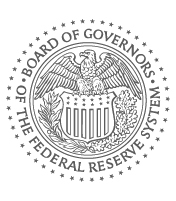 Leadership: Officially, what we think of as the Federal Reserve is “The Board of Governors of the Federal Reserve System.” The current Chair of that board is Janet Yellen, who just took over the position in February. Ben Bernanke held the position prior to Yellen. The Chair and the other members of the Board are appointed by the President and approved by the Senate. 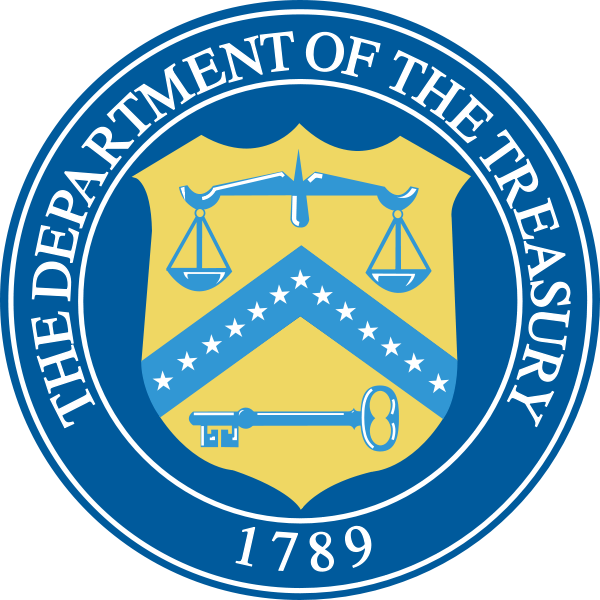 Falls under / reports to: The Department of the Treasury is an executive department; it reports to the President. Leadership: The Treasury is headed by the Secretary of the Treasury, a Cabinet-level position. The current Secretary is Jack (Jacob) Lew, who took over the job in 2013. Parent agency of: Many offices and bureaus, but key ones include the IRS, the OCC, and the Mint. Enforcing relevant laws and regulations by taking “supervisory actions” against banks that don’t comply with them. Those actions can include removing a bank’s officers or directors, negotiating agreements with a bank for it to change practices, and issuing cease and desist orders along with fines. What they DON’T do: Set banking policy (Federal Reserve); make currency (Treasury); regulate stock markets (SEC); help some certain consumer complaints related to financial products (CFPB). The jurisdictional split between the OCC and the CFPB for consumer complaints has to do with (1) the type of complaint (if it falls under “certain consumer protection laws”) and (2) the size of the bank being complained about. The big ones go to the CFPB. Falls under / reports to: The OCC’s parent agency is the Department of the Treasury. Leadership: The OCC is headed by the Comptroller of the Currency, a position nominated by the President and approved by the Senate. Current Comptroller Thomas Curry was sworn in to his term in 2012. Falls under / reports to: The CFPB’s parent agency is the Federal Reserve. Leadership: The CFPB is run by a director, appointed by the President and confirmed by the Senate. Richard Cordray assumed the office in 2012. Falls under / reports to: The SEC is an independent agency, meaning it’s separate from all of the executive (cabinet-level) departments. It is subject to oversight and potential alteration (changes in scope, mission, and so on) from Congress. 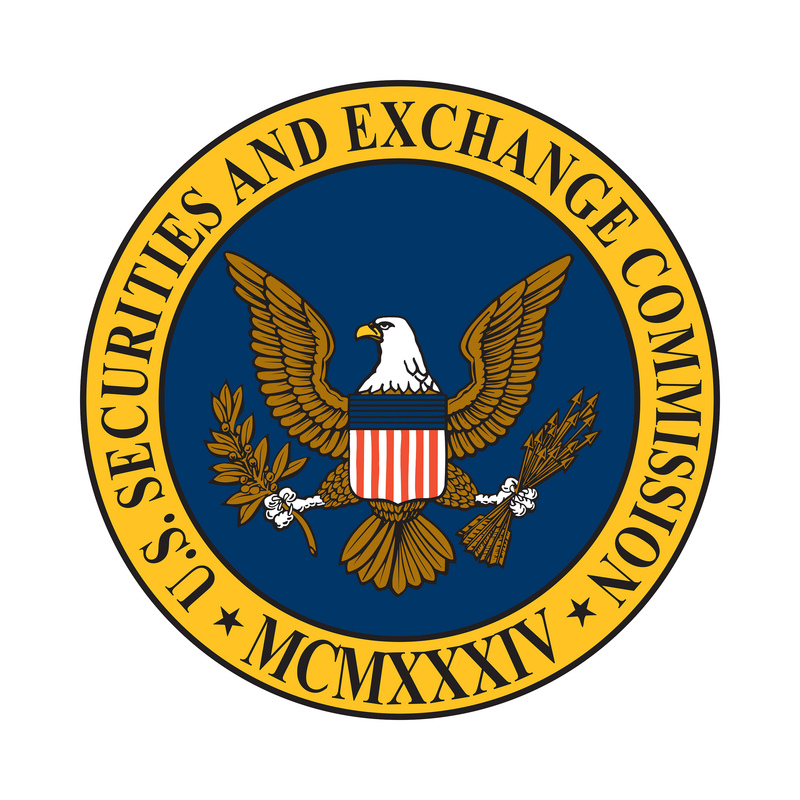 Leadership: The SEC is run by a five-member commission headed by a chair. The current Chair, Mary Jo White, began her term in 2013. Other commissioners are Luis Aguilar, Daniel Gallagher, Kara Stein, and Michael Piwowar. Commissioners are appointed by the President and approved by the Senate. No more than three of the five commissioners may belong to the same political party. Deposit accounts at FDIC-backed banks are generally insured to $250,000 — so if your bank announces financial trouble, there’s no need to cause a run on it to get your money back, thus making the situation worse. The FDIC also manages receivership in the event of bank failure. Falls under / reports to: The FDIC is an independent agency, meaning it’s separate from all of the executive (cabinet-level) departments. It is subject to oversight and potential alteration (changes in scope, mission, and so on) from Congress. Leadership: The FDIC is run by a five-member board of directors headed by a chair. The current Chair, Martin Gruenberg, began his tenure in 2012. Two of the five director positions go to the Comptroller of the Currency and the director of the CFPB, so are currently held by Thomas Curry and Richard Cordray respectively. The remaining two directors are Thomas Hoenig and Jeremiah Norton. Directors are appointed by the President and approved by the Senate. No more than three of the five members of the board of directors may belong to the same political party. Specifically responsible for: The NCUA regulates, charters, and insures the deposits in credit unions. While banking regulatory authority is more spread out across agencies, most credit union oversight lies with the NCUA. Falls under / reports to: The NCUA is an independent agency, meaning it’s separate from all of the executive (cabinet-level) departments. It is subject to oversight and potential alteration (changes in scope, mission, and so on) from Congress. Leadership: The NCUA is run by a three-member board of directors headed by a chair. Current Chair Debbie Matz began her six-year term in 2009. The other two members of the board are Michael Fryzel and Rick Metsger. Directors are appointed by the President and approved by the Senate. No more than two of the three members of the board of directors may belong to the same political party.